This is probably my favourite outfit to be posted to Fashion in Excess yet! I couldn't wait to share with you some of my favourite new buys this month, with some bolder picks than I would typically go for. I, like many, was quite unsure of the glove shoe when it first began appearing on my Instagram feed and knew the trend would be a grower on me. 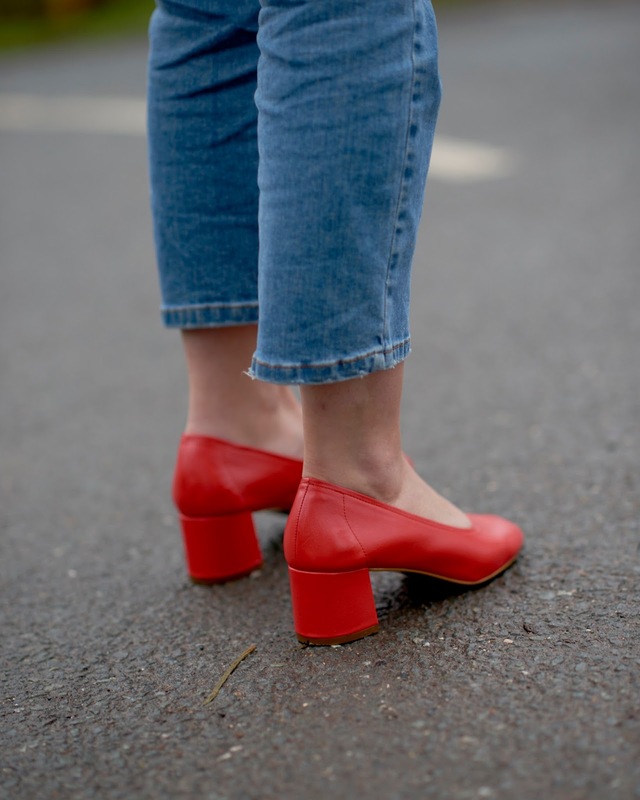 And who better to provide the ultimate glove shoe than Topshop? 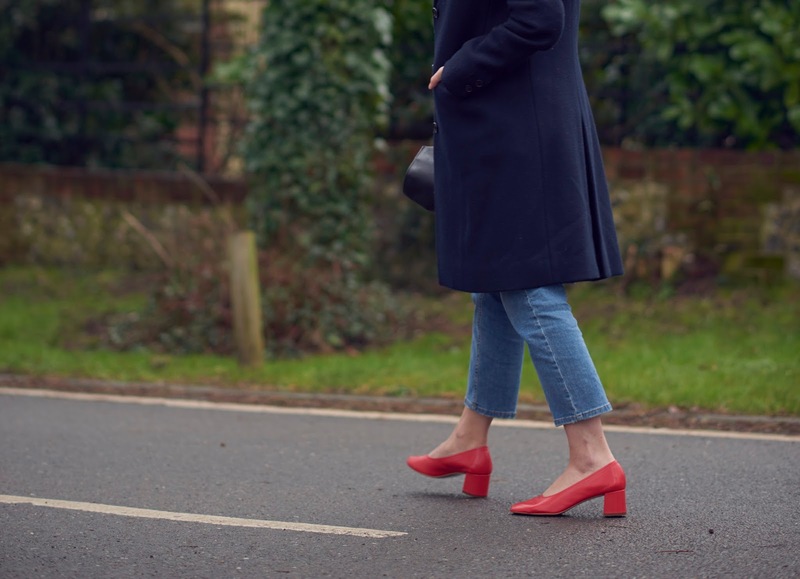 I was completely taken by both the grey and red but though the red would liven up my (often) drab outfits and encourage me to be a bit more adventurous in my styling. 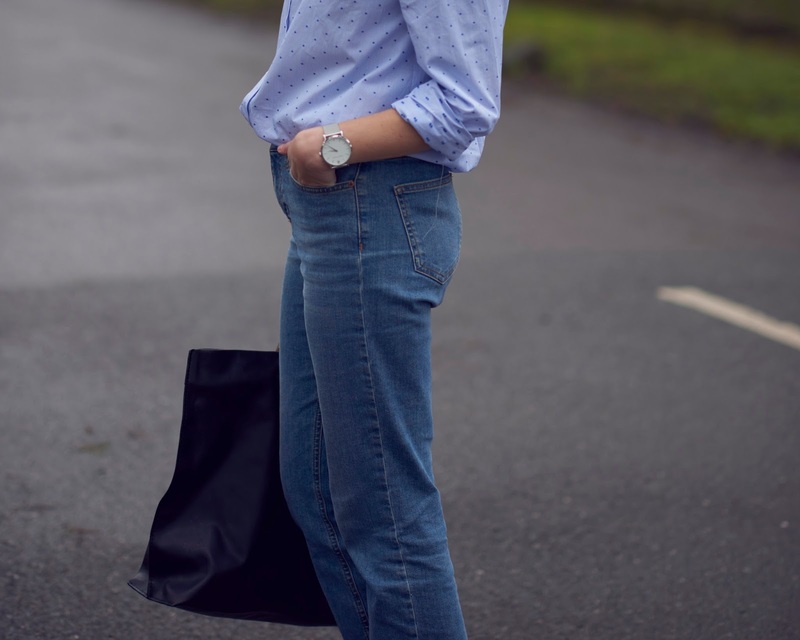 The perfect shoes needed the perfect trouser and the Topshop Dree jeans create a subtle kick flare that fitted my petite frame perfectly and flashed just the right amount of ankle! 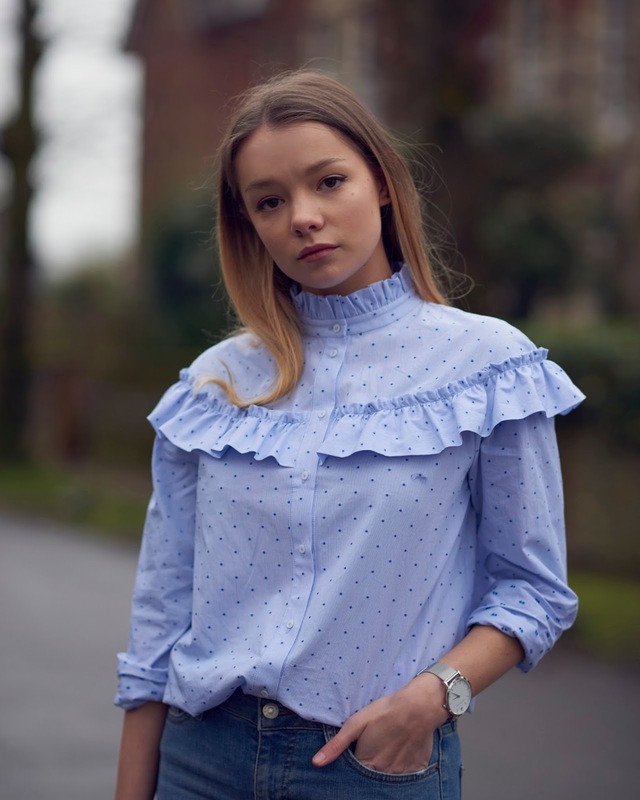 To compliment the red shoes, I felt a blue or white blouse would make a great simple combination and having seen this H&M ruffle blouse advertised everywhere I ordered it as soon as it appeared in New In and fell in love instantly. 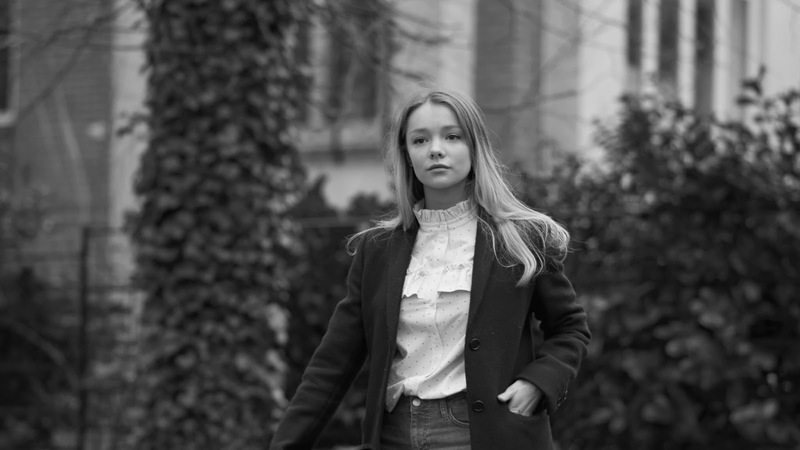 Something about the frills makes me feel like I can do Parisienne Chic without reverting to the obvious breton stripe tee, although I'm not sure everyone is on board with the slightly child like ruffles. 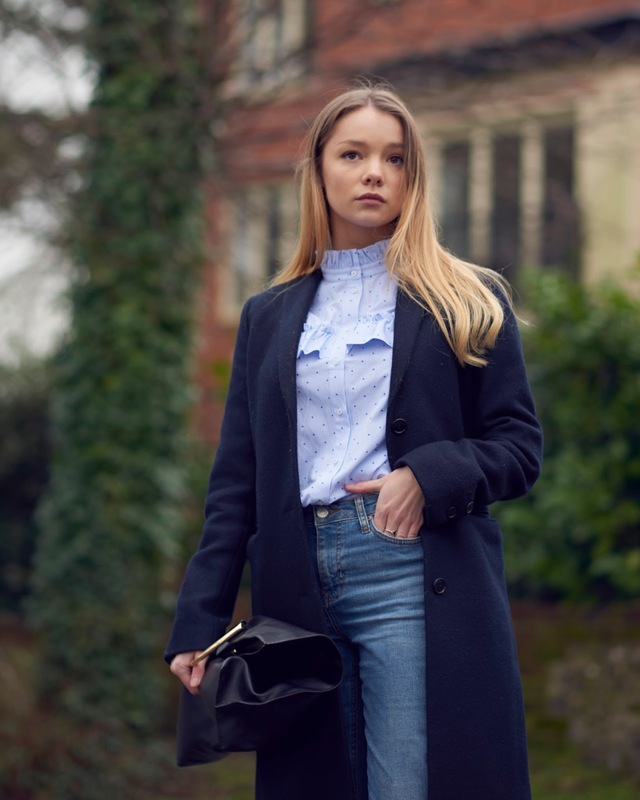 Finished off with a cosy coat and minimal handbag and you've got the dream combination. 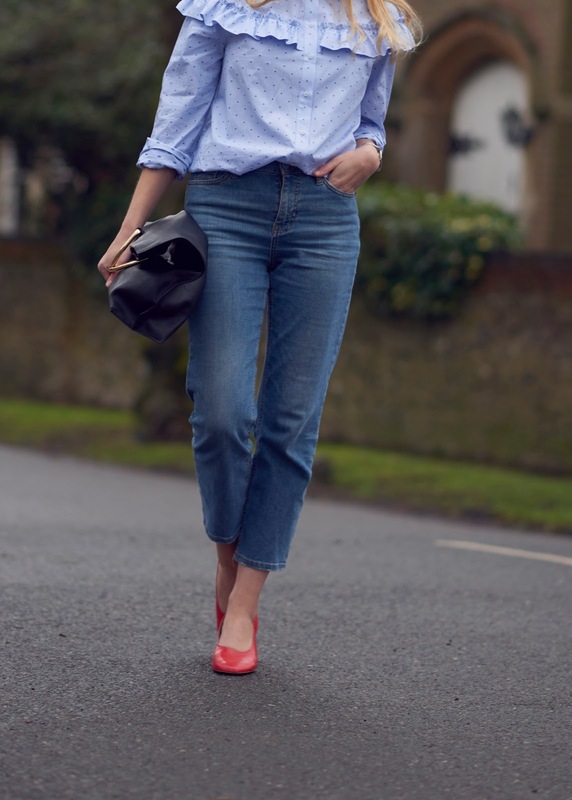 Are you buying into the ruffles trend?